Acquired Book By: I have been a blog tour hostess with Cedar Fort for the past two years, wherein I took a brief hiatus from hosting before resuming this August 2016. I appreciate the diversity of the stories the Indie publisher is publishing per year, not only for fiction and non-fiction but for healthy eats within their Front Table Books (cookbooks). 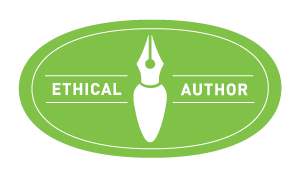 I appreciate their dedication to writing general market, INSPY reads and LDS focused stories across the genres they publish. I was selected to be a part of the “The Heartbeat of the Bitterroot” blog tour wherein I received a complimentary copy of “The Heartbeat of the Bitterroot” direct from the publisher Sweetwater Books (an imprint of Cedar Fort Inc.) in exchange for an honest review. I did not receive compensation for my opinions or thoughts shared herein. Throughout Spring 2017, my family and I have been dearly attached to binge watching Heartland which is family television drama from Canada (CBC). We’re blessed to be able to see this via NetFlix – I cannot even begin to tell you how difficult it was to reach Season 8 realising this was the final season we could see for quite a long time – as S9 + S10 have not yet been released to NetFlix whilst S11 is currently filming! I sometimes check the feeds on Twitter – spying photographs of the current production and hopefully not running into a spoiler which will give me advanced information as I have tried to remain in the dark about this series since we first started to watch it! I truly can shout #iloveheartland! The first time I learnt of the Rockies, I was a young child – listening with earnest to my Mum’s stories of her travels out West. I have mentioned it a few times on my blog in the past, how awe-inspiring my Mum’s travelogue stories have charmed my heart and have inspired me to go West as soon as I’m able too – if only to see remnants of what she once saw herself. I first fell in love with Wyoming, Colorado and Montana through the Westerns I would read a young reader – vying an affection for Westerns and Cowboy Fiction at a young age whilst learning how to ride myself. It was quite fitting to read a Western novel whilst at keepaway camp for horse riding girls! Laughs. I personally researched the Bitterroot Valley ahead of reading this novel – as similar to the rest of Montana, I hadn’t heard too much about this particular area previously. I was quite chuffed by what I found – it’s a hidden gem of an oasis! The natural beauty and the over abundance of natural joy bursting through the valley of the Bitterroot is quite impressive to say the least! If you hop on YT you’ll find videos which will make you wish you were on holiday there! It was my intention to run an interview in connection with this review – however, this pre-dates my Spring allergies and my bouts of unwellness through the Spring months as a result of how wrecking my allergies became this year. I am hoping I can still get in touch with the author post-review and see if I can still bring her joy of the valley to my readers through a setting focused interview of her lovely valley. I would love to still introduce you to the beauty and charm of what is so very compelling about this part of Western Montana! And so, it followed me, this dream. It launched me on a journey. But I never imagined that the journey would nearly cost me my life. Jenna Clark tries to keep her bleak childhood memories buried in Montana's Bitterroot Valley, but a newfound secret about her father's identity forces her to dig into her past. With the help of Michael Callahan - the charming man she meets at her uncle's ranch - she delves deeper into a history that would rather stay hidden. When harmless pranks quickly turn into aggressive threats, Jenna must decide whether to run away one more time or face her past with courage and finally let love into her heart. Janice Mineer was born in the state of Washington. She graduated from Brigham Young University and later taught English, allowing her to spend quality time with something she loves - the written word. A hopeless Romantic, Janice has played harp for weddings, even for one that took place on the edge of a cliff over a river. Because of her first husband's long illness, Janice and her family spent extended time away from home to be near the Mayo Clinic in Minnesota. When her husband passed away Janice dedicated herself to work with the Ronald McDonald House to provide a home away from home for families who need medical care for their children. Janice is the author of a children's book Gingerbread from the Heart. Heartbeat of the Bitterroot is her first novel. Janice lives in the Bitterroot Valley of Montana with her husband Randy. Between them, they have five children and eleven beautiful grandchildren. I instantly connected with one small passage of the Prologue – about how you can become alerted about the snow? I remember my stint in the North where snow was quite the mainstay in Winter and of how despite living in an alternative climatic environment for most of my life, I, too, was able to predict when it would snow. I didn’t feel it in my bones so to speak but there are signals from nature and if your intuitively aware of your environment, you’ll notice them. As I read this passage, I smiled to myself realising how at one point in my life, even I knew of when the snow was about to fall. How I long to go back into a climate such as that – where sunshine is limited, where Seasons are as full of as their individual personalities will allow and where you get to see life move through the changes with a renewed sense of awe. Tucking into the novel from the perspective of someone trying to explain a ‘life shift’ was heartwarming – as the person is trying to articulate how they noticed the pattern of change which effectively was the start of everything changing within their life. How we can each relate to this – of finding the curious instinct to recognise when one chapter of our lives is about to close and a new one is about to begin? Some people create their own story, striking out in the midst of a wilderness of want and moving toward a brighter horizon. But for some people, their story is with them all along, and one day they just turn around and meet it face-to-face. For me, it was something like that. My story started early, like a small voice in the crowded room of my life. For me, it started with the dream, and grew. -quoted from The Heartbeat of the Bitteroot with permission of the publisher. I was not surprised we’re centering on Missoula – as it’s only a skip and a hop from the Bitterroot; plus, it is an anchouring point in Western Montana ahead of reaching Glacier National Park and the surrounding area therein. There is one occupation I felt was quite high risk but also higher intensity in regards to workplace tension and a demanding courage for emergencies which could blink in out of the blue: any job connected to an airport! Either on the ground or in the air – those who work for airlines have a calling like no other in my personal opinion! I was not a bit surprised how openly honestly Mineer introduced us to her character as she went through the motions of a potential emergency landing of a plane so large it’s an answered prayer each time it touches down with grace rather than strife! As Jenna allows herself to be wined and dined by her current beau, the more his presence in her life rankled my impression of him. He was the kind of bloke who felt he should understand better what you want to eat, how you wish to order your food and has such a blinding disrespect for listening to conversations – it’s a wonder he has a date at all! He just charges forward on his own accord – come what may – even if you are standing on the opposite side of the ledger, he’s so consumed with being ‘right’ he doesn’t even notice you’ve disagreed with him. The thought apparently is illogical from his perspective. Honestly, I could not see how the two could remain connected; you cannot have such an impasse of imbalance for a healthy relationship to thrive. One of the most touching scenes to understand the heartache of a character is when Jenna reflects on her trip to Italy and seeing Michelangelo’s artwork. The way in which Mineer aligned the memory and the moment of what took place in regards to how it aligned with her heart and her memories of her Mum was quite stellar. It showed the depth of Jenna’s pain of a daughter who lost her mother too young but also, how complicated it is to resolve the unforeseeable sorrows in our lives. I loved the introduction of Harrison into Jenna’s life – as there are times where we have serendipitous encounters with people who know exactly what to say which impart the hidden truths we have yet to acknowledge. Harrison gave her a small nudge towards realising a few things she had not yet been willing to see for herself. Her job afforded her to meet different people all the time but some of those people went the extra mile towards making a connection; not just with Jenna but with the people around them. It speaks to the greater purpose of our lives; of how we’re connected to each other and how sometimes, we’re the Angel on Earth for someone who needs us to cross their path. I thoroughly enjoy reading about farms and ranches; I knew of a rancher who was raising buffalo when I was a teenager but call me crazy, I thought the location of his ranch was ill-placed due to the climate. I have noticed herding animals thrive best when they can experience more seasons with properly changing temperatures; as you can even notice this by how their physiology changes from one region to another. I was swept up in the imagery of the bison on Jenna’s Uncle’s ranch in other words. They are quiet beauties standing with such a proud stance and owning to the legacies of their kind. They are reverent as much as they are strong. Sadly, I know raising bison for an alternative to beef is quite popular these days and yes, although I’ve tried it, I admit, despite the lightness of it’s taste it’s hard to shake the visual. I think my spirit was meant to be a veghead all along as at some point, it’s hard to reconcile what is on your plate. Except to say, I do understand the need for ranchers and cattlemen. Livestock is an honourable trade and a viable business; I do appreciate those who raise grass-fed and open range animals as it gives back a bit of freedom to those who deserve it most. In the backdrop of Jenna’s coming to rights about her life and the curious reason why she has felt like a cloud has hung over her all these years is a wedding. She’s travelled out of the city and into the Bitterroot Valley to spend time with her Aunt and Uncle (they own the ranch). You can get caught up and lost in the family drama; from the teenage cousin she has a good relationship with to the hectic last minute fixes for the wedding jolting everyone into a frenzy! I even liked how the bloke those who know her best wanted to set her up on a blind date turnt out to be quite the catch despite her first forethought was to think the worst on his behalf! The irony there is that sometimes family and friends can align your path with the right bloke or gal; it’s a leap of faith to trust you’ll find the one your meant to walk through life together. The flashbacks about Jenna’s younger life are well placed throughout the story – especially as it speaks to why she understands why her cousin Mackenzie is having such a difficult time finding her own voice and way in life. She struggled herself to understand her own path and the parenting skills of her Aunt and Uncle; of whom tried to be strong about how they raised her to understand how to live with good choices, morals and a healthy outlook on life in general. She felt at the time they were restrictive but in reflection, they were trying to help her own her choices and understand how the choices you make can decide certain factors of your life. In the flashback sequences we get to see how a younger Jenna was impressioned by her circumstances and how she fought hard to overcome the gaping hole of her childhood where she missed out on having a traditional upbringing with her parents. Throughout it all, Jenna starts to put the pieces of her life together; including the missing pieces she never thought she’d be able to collect. Meanwhile, she finds out there are more fish in the sea than the one she thought she had to stick to like glue! She’s smitten by the unexpected bloke she crossed paths with but moreso to the point, she enjoys entertaining the notion, she might be able to lay down roots at a time in her life where she felt for the longest time it simply wasn’t going to happen. You can directly relate to what she’s going through at this junction of her life as she’s betwixt and between her future with the full knowledge of how her past injured her spirit and took away the self-confidence she should have had all along. She has gone through a new period of growth – re-examining things she thought she had long since reconciled and found a new path out of the dark. Mineer writes with such a lovely style of stepping into the footsteps of her characters, you start to ache to know how things will turn out for them. There is a small ominous sub-plot tucked into the shadows of the main plot threads; of where your uncertain if this gentle Romance will turn full-on Suspenseful or leave only a remnant of suspense in the corners. She leads just enough ‘out’ of your range of sight to draw your attention to what is not yet known to Jenna but then, arches back into the present of where Jenna is trying to move forward without the recent regrets which are starting to hold her down. It’s a good balance struck between a character in self-discovery of finding her truer path with a better light of self-acceptance and the moments in life where staying alert and vigilant is worthwhile. Ms Mineer has a comfortable confidence in her writing – where you can tell she’s been perfecting her craft for quite awhile. I am unsure if the original manuscript differs from this newer version or if it even went under a revision (by adding or removing scenes, etc) but what impressed me most about this edition is how comfortable the author is writing the story. She allows the reader to warm into the story; to first understand her characters as they wish to tell their stories and then, enveloping us in this lovely setting and with a compelling plot which moves forward at a good pace. I even liked how she included the little nuances – such as how aggravating a cell can go off multiple times and everything (of course) has it’s own level of ‘importance’ of being answered in the moment of the first buzz alerting the call in the first place! One of my favourite bits of her writing is how she uses analogies to paint the picture for the reader – she has a cheeky sense of humour and uses the phrases I grew up knowing so intimately to express certain things which grounded the story into a recognisable Contemporary setting and timesape. I love authors who can spin a tale whilst owning to the creative way in which writers can explore narrative – analogies get me everytime because each other puts their own stamp on how they wnt to articulate what they truly want to express by how they bend the will of their pen to exercise the thought in a way which makes the reader smirk! There is a warm sincerity threading throughout the context of the novel; you feel it almost immediately and as you move deeper into the story itself, it simply engulfs you. The nice bit about the novel is how compassionate it is written and how it hones in on the good of humanity. Whilst owning to the truths – not all of life is fun and games nor something to smile over as there are moments which test our resolve, courage and the will we have to see the goodness in our lives. Mineer touches on the harder issues of resolving past events and the emotional baggage of when the adverse times in one woman’s life are the hardest to forgive and move past. As noted on a sticky note on my blog late Tuesday night / early Wednesday morning, I decided to postpone promoting this blog tour until Friday; removing myself from posting on the 14th due to the heartbreaking news of what was happening in London during the #LondonFire where a tower block apartment building caught fire and tragically took lives. I have a heartfelt connection to the UK and to London; not only with personal friends but with a love of literature by UK authors. Out of respect for what happened – which not just affected me personally due to the nature of how I learnt of the news via Twitter; but for the tragic loss of those who did not make it out alive; I observed two days of silence on my blog. I appreciate those of you who returned to view my thoughts on this novel. My gratitude is yours for understanding. I also want to thank the author and the publisher for respecting my choice to switch dates last minute. All of us sent a heap of prayer support to London and hopefully in time; the healing process will begin for the victims, survivors and first responders. Copyright © Jorie Loves A Story, 2017. Book Review | “George and Lizzie” by Nancy Pearl A refreshingly different kind of Contemporary from the ones you might be more readily familiar! Cover Reveal | NEW #ChocLit novel on the horizon for #SummerReads! Sheryl Browne has a golden heart for rescuing dogs and writing Romance with a bite of gumption! Book Review | “On the Edge” by T.S. Krupa a sophomore release by a #contemporary #womensfiction author I already appreciate due to her freshman story “Safe and Sound”! Blog Book Tour | “Snow Angels” by Lezlie Anderson a short story filled with a lot of heart anchored by community, faith, and the blessings of Christmas! 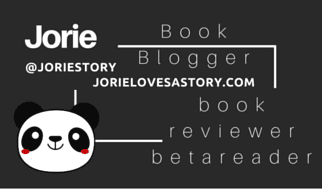 Great review, Ms. Jorie! I love stories of how one sorts through events of the past to, first reconcile your thoughts and responses, then eventually be able to find the lessons in those events and apply them to benefit your future. This sounds like an interesting book with plenty of twists to keep it engaging. I also enjoyed learning more about Ms. Mineer and her journey. Knowing a bit about the author helps the reader feel more connected to the story. Well done!